Just a couple of days back I went to see the same Pain Specialist who had diagnosed me with HMS about three years back. Since then till now, I never really felt a need to see him because I was thought I was equipped with all the tools I needed in order to manage my pain. There was really nothing much he could’ve done then, except to put me on more pain medication. I have had enough pills from the other Specialists who help me with managing different joints in my body and most of them are convinced that there is nothing much that can be done – this is a condition that requires lifestyle change, lots of personal care and pain management, along with visits to hospitals when something shifts way off or something. The main reason to go back to this guy was really to see if I was on the right track, and if he had any other bits information that may be useful to me right now. I remember very well what a a terrible state of mind I was in at the time of the diagnosis, so I thought I’d be more receptive to new information now. After giving him a quick update of how I spent the last (365 X 3)days getting to know my body and involuntarily hurting other joints , he did a quick check-up of all my joints and trigger points and asked me more questions about how my life has been. It’s more so at a Pain Specialist or at a Complementary and Alternative Medicine therapist that you’d have to answer questions about life etc. Most of the other Specialists, although very caring and supportive in general, tend to end with questions about your work or school. Nothing beyond. And sometimes not even that. I think I was able to speak about my health more confidently, so that’s a good sign already. I had done enough homework till now to fully understand my condition so I’d say it was both good and bad that he had no new information for me. What I got out of the appointment though, which we all need sometimes, was validation. All his suggestions were things I was either already doing or trying to work towards. He introduced another way of looking at pain management – he said there are three angles to this – Biological, Psychological and Social. Biologically, when you are dealing with an illness like HMS, you can provide your body with right medication and supplements in order for the pain and discomfort to become slightly more bearable or manageable. Psychologically, one would need to figure out ways to manage or entirely kick-out unnecessary stress inducing factors, work through difficult emotions and find ways to relax, stay present and positive, while working towards a sustainable future. Socially, one must be surrounded with loving, caring and supportive people who make an effort to understand the pain, or at least are a little sensitive towards it. That was a good way of looking at things! A simplified version of what constitutes health for most of us! But of utmost importance for those dealing with a chronic illness. He explained that with illnesses like such, when we know we can’t do much about it at the moment and that there’s nothing out there to cure of fix it, all we can really do is come to terms with it, and finally start building a lifestyle that works for us. What I understood out of all that was that we need to build a lifestyle that we can keep up with. A lifestyle which works for both our body and mind. And one that basically keeps us moving forward, no matter how hazy the future looks. And no doubt ….. this can take time. It can take time to first, come to terms with limitations. Second, to then figure out possibilities. And third, to finally pick something that you’re able to sustain, something you’re passionate about and something that makes you smile, even through the limitations of a rare illness. There’s lots to figure out and of course it can feel daunting. It’s hard to stop thinking about how it’s all going to turn out, especially when you feel a little helpless right in the present. 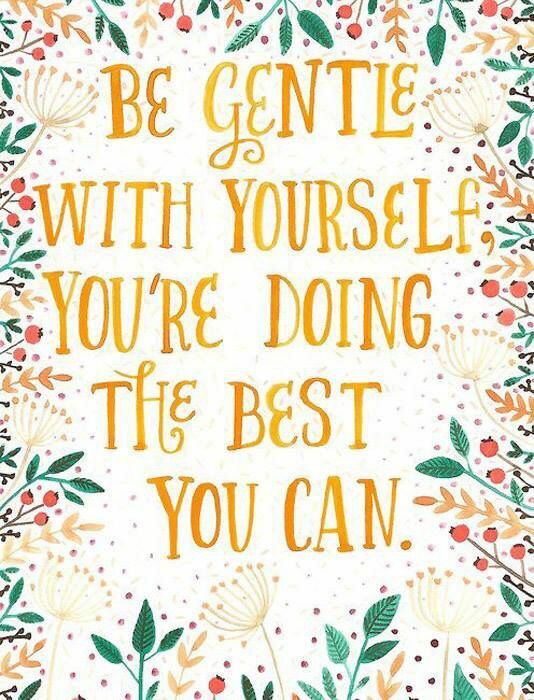 If I start to feel helpless, I have to quickly remind myself that I am, with all honesty and with all that I’ve got right now, trying to help myself. And that’s not called being helpless. Helping your body feel better requires a lot of time, patience, care and love. I know it takes time for our body to respond and it gets tiring to wait. It tires me out sometimes too. But the story continues… and we must as well. I was determined to not take any medication from him. Nope. I have been on pills for the past five years, have tried several types of pills, with varying combinations and I honestly don’t think I want more of that. What I take right now is working for me and I’ll let it do it’s job of supporting me while I do my part of working on other factors which could help my body feel better. So on the way out of his clinic, I concluded that I didn’t need to see him anymore. And that whatever I’ve been trying to do over the past year or so is what I must continue doing. Next postQuick Meals Category Coming Up!